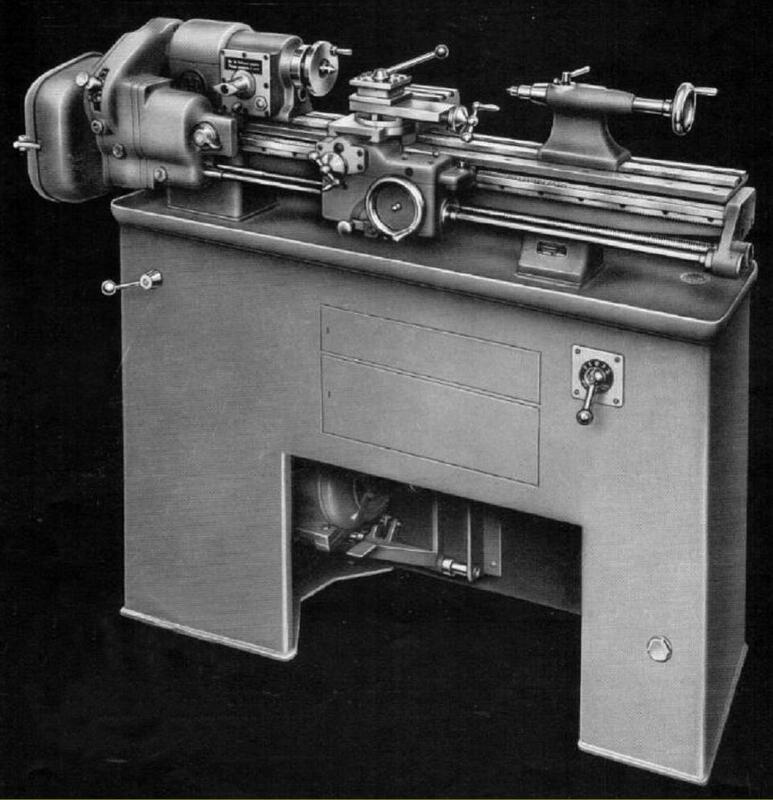 Swiss-built, and equipped with their own range of unique countershaft drive systems and both underdrive and conventional stands, Habegger plain precision lathes of the traditional type were dimensionally identical to the equivalent Schaublin models - and most accessories from one can be used on the other. 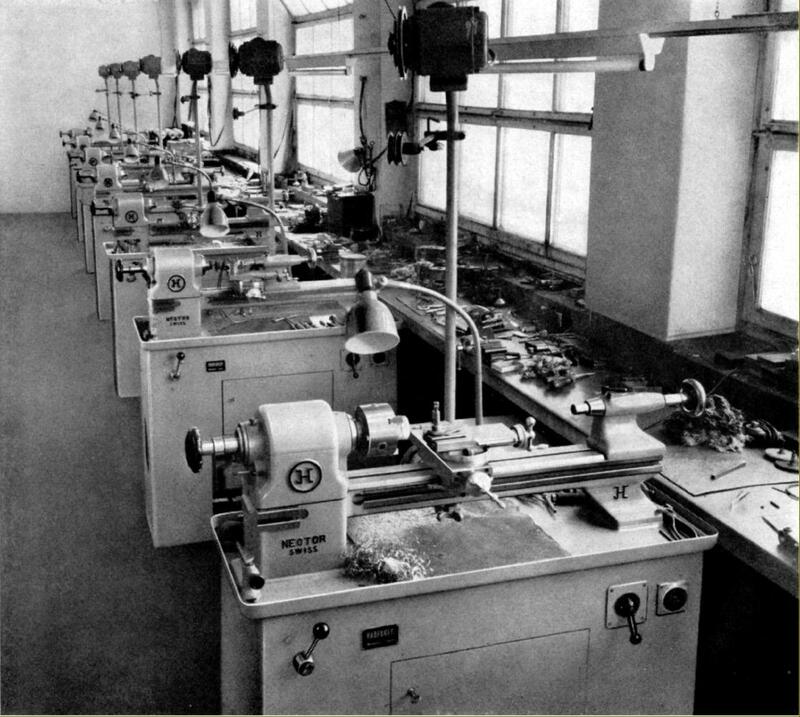 Screwcutting lathes were, however, of Habegger's own design and built as the TDL with screwcutting (and power feeds) by a leadscrew and the rather more sophisticated type, the DLZ, that had a gearbox together with a separate power-shaft to provide three sliding and surfacing feeds for each setting of the changewheels. 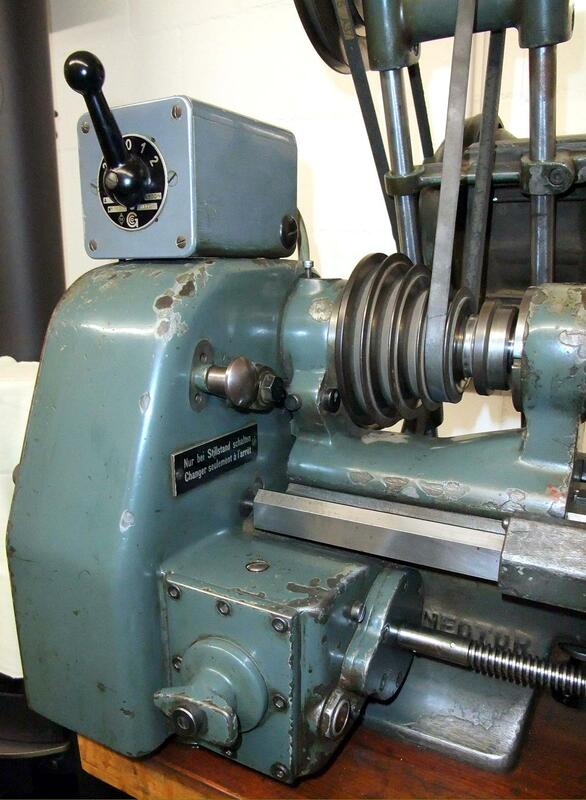 Established in 1937, Habegger were best known for their automatic lathes but today, of their traditional centre lathes, the most commonly encountered are the Neotor, made in screwcutting and plain-turning versions, and the Type 102 (102 mm/4-inch centre height) a plain lathe offered in toolmaker's form with screw-feed compound slides and a draw-tube collet holder; as a second-operation lathe with lever-operated slides and also, when equipped with various forms of multi-tool capstan heads, cut-off (forming) slides and lever-action collet closers, as a model for production work. 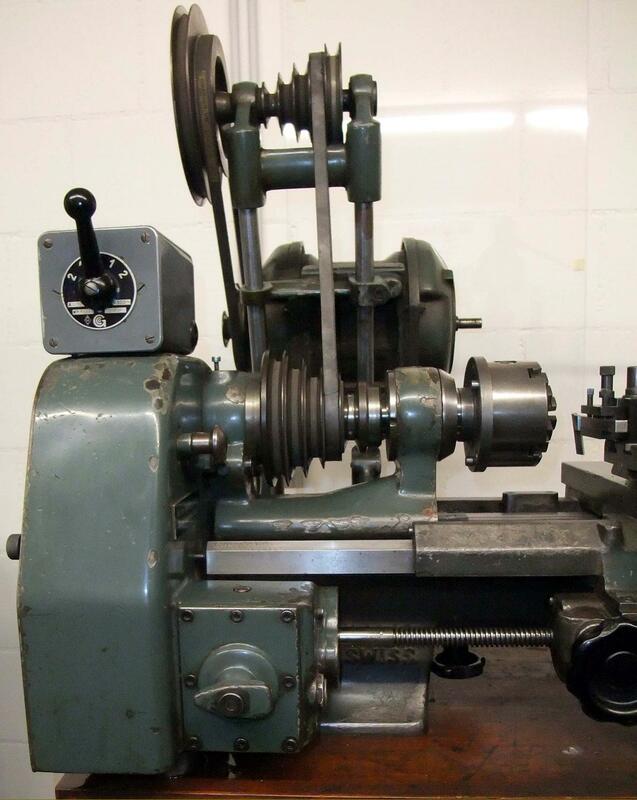 A traditional bench precision lathe, the plain Type JH 102 admitted 450 mm between centres (4" x 17.7"), used a bed identical to that on the Schaublin 102 and was fitted with a headstock that carried a 20 mm (0.8") bore spindle running in ball bearings at the rear and a plain bronze bearing immediately behind the 3 mm pitch spindle nose. 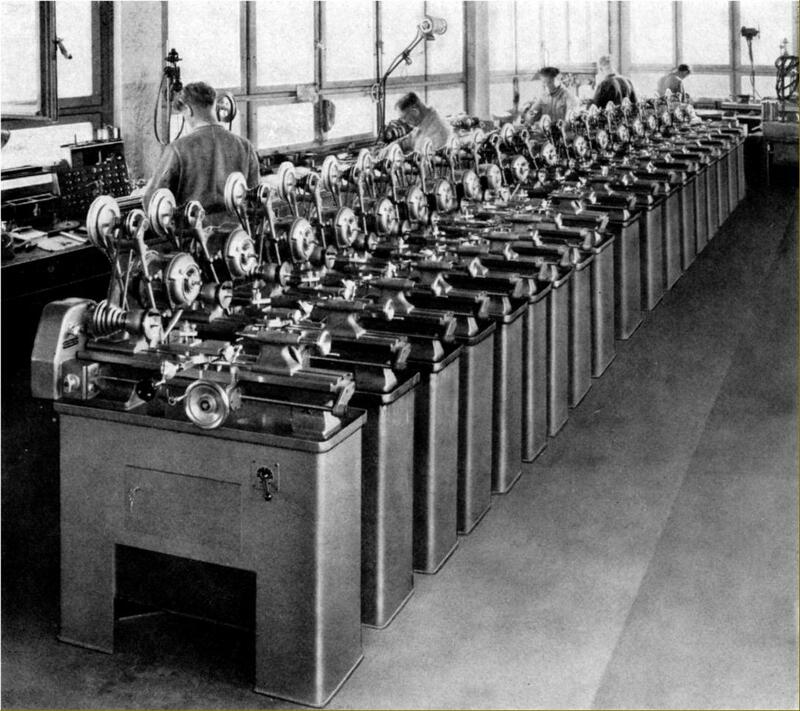 Collets were the ubiquitous Schaublin Type W in a size 20 or 25, held by either a draw tube or quick-action lever-operated closure - though later the option was offered of the popular and inexpensive 5C type. Usually a 5-step pulley was fitted, to take an "A" section (1/2" wide) V-belt, with speeds varying according to the motor and style of countershaft fitted - those on early models having very slender all-cast-iron uprights that, on later models, were replaced by round steel bars into which socketed cast-iron brackets to hold the motor and pulley shaft bearings. The motor-to-countershaft drive had either a single or 2-step pulley (the former allowing for five spindle speeds and the latter ten) and with a single-speed or two-speed 3-phase motor - the latter of course doubling the number of speeds (in a range from around 150 to 3000 r.p.m.). 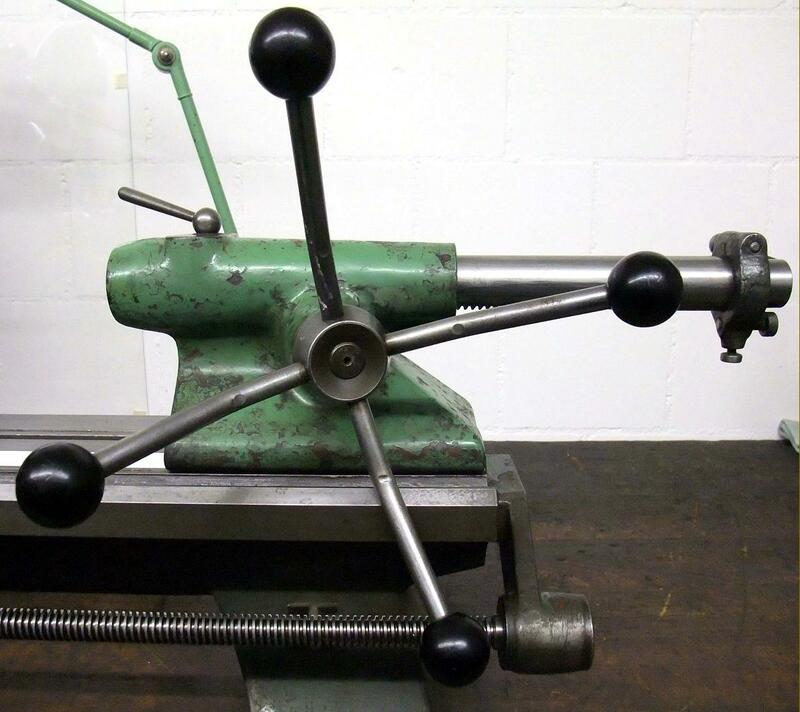 Unfortunately Habegger copied the early Schaublin 102 tailstock with its non-standard 2° taper, but evidently common sense eventally prevailed and subsequent models had either a No.1 or No.2 Morse taper fitting. 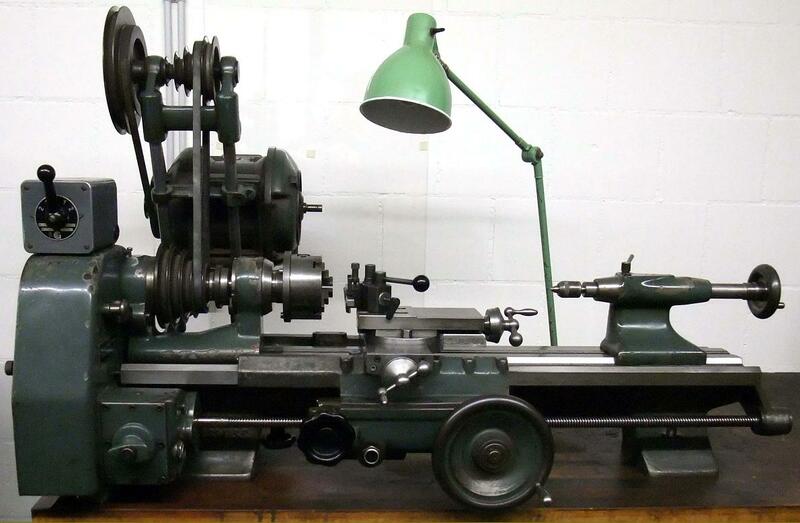 Habegger also made a smaller lathe to compete with the Schaublin 70, the JH70 - again a copy with a few slight alterations and built only as a bench model. One change was to the arrangement whereby fittings were secured to the bed - in order to avoid the Schaublin patent of a central T-slot with an angled sides and matching angled nuts, Habegger used what might be described as a reduced-size bed from the JH102, this being of the "WW-type" with a flat top and bevelled faces at front and rear onto which the headstock tailstock, carriage and other fastenings were pulled down. 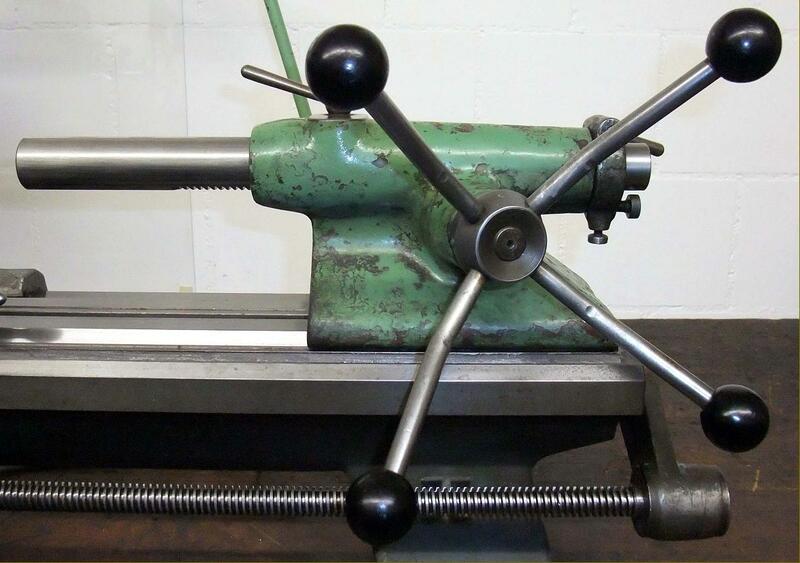 Many other bench precision lathes used an identical system, some of which can be found here. The small plain-turning Habegger can have sold only in small numbers for today it is very rare. Habegger survived until the late 20th century and were making, when last heard of, a 6-axis CNC machine. If you own a Habegger machine tool of any type, or have any manufacturer's literature, or other information, the writer would be very interested to hear from you. Exceptionally large headstock bearings. 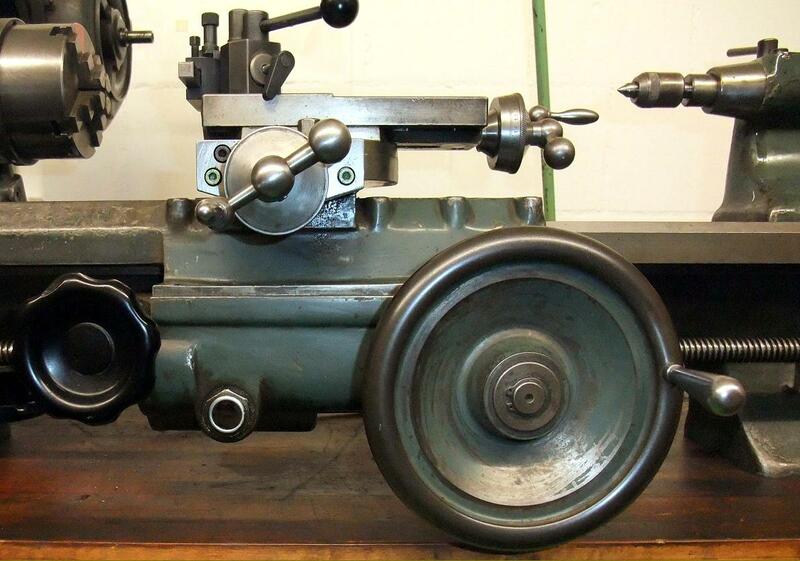 Like many contemporary precision bench lathes the largest headstock pulley is to the left, though in this case the designer seems has seen fit not to take advantage of the extra space gained to support the front bearing with a greater surrounding mass of metal.